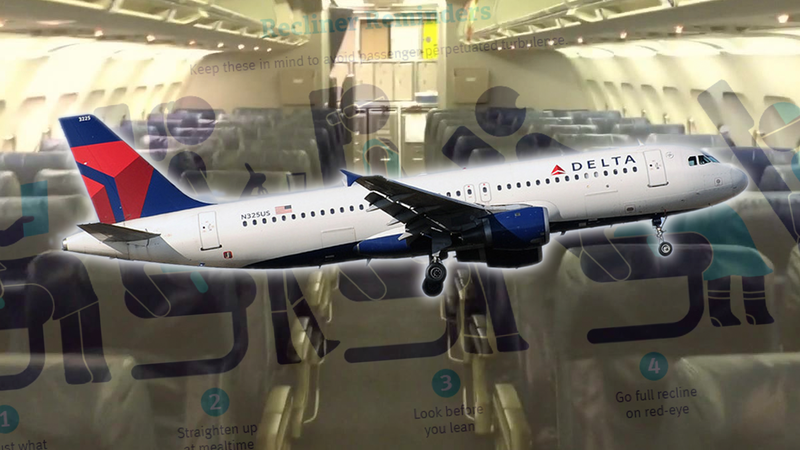 That travel expert is Scott Mayerowitz,who runs The Points Guy travel blog, where he reports that starting this Saturday, Delta’s fleet of Airbus A320 aircraft will reduce the seat recline in coach from four inches to two, and in first class from five and a half inches to three and a half. It’s worth noting that seat reclining-related conflicts are a real issue, so much so that there’s actual products available to let people disable reclining on the seat in front of them. I have to say, I think I’m okay with this. I almost never recline my seat, because I just don’t, well, feel like I’m worth it. Why should I steal some space from the person behind me, moving their seat-back screen to a weird angle, or banging into their laptop? What am I, a sultan? It’s just not worth it, and it never set right with me. Delta says the change on the A320s is a sort of test, and, pending customer reaction and feedback, they’ll decide whether or not to expand the change to their entire domestic fleet. International flights are not planned to be affected.